Detail: 3 inch solid frame with 1/4” veneer panel. The drawer fronts are available as solid slab or five piece frames and panel construction to match the door. Detail: 2 1/4” solid frame w/ 3/4” solid raised panel. The drawer fronts are available as solid slab or five piece frames and panel con-struction to match the door. Detail: 2 1/4 inch solid frame with 1/2” solid panel. The edges can be eased or ogee. Hello and welcome from our team here at Kodiak Cabinets. 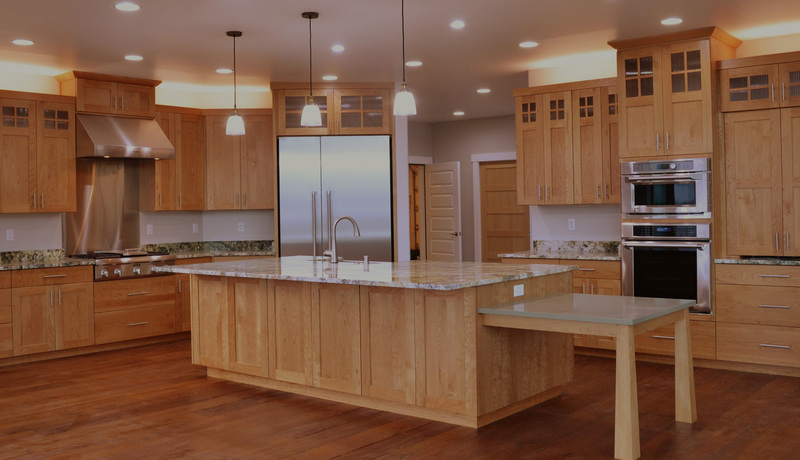 We have been in the woodworking business since 1986, manufacturing custom cabinet doors for local cabinet shops, as well as miscellaneous furniture and cabinets. 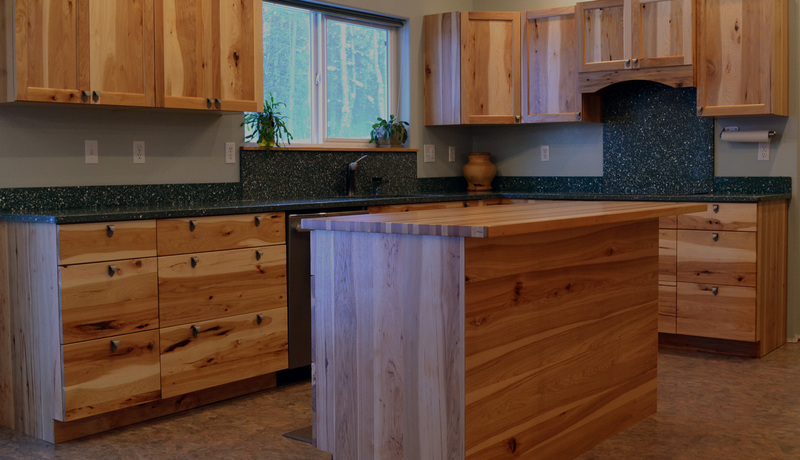 In 2006, we expanded our shop and changed our business name to Wasilla Woodworks LLC. Since 2015, with another expansion and the transfer of the Kodiak Cabinets name, previously located in Anchorage, we are now focusing on custom cabinetry built in our Wasilla shop. In the summer of 2018, the name and business of Kodiak Cabinets was officially purchased by our very own team-member Mr. Joseph Hubbard of 14 years of woodworking under Mark Kotter. Now named Hubbard’s Cupboards DBA Kodiak Cabinets, we still run as the original crew that continues to bring you the quality that you have grown to know. We pride ourselves in listening to your ideas and needs. We’re thoughtful about choosing the finest materials for your project and we never cut corners. The result is something guaranteed to make your room remarkable and a home breathtaking. 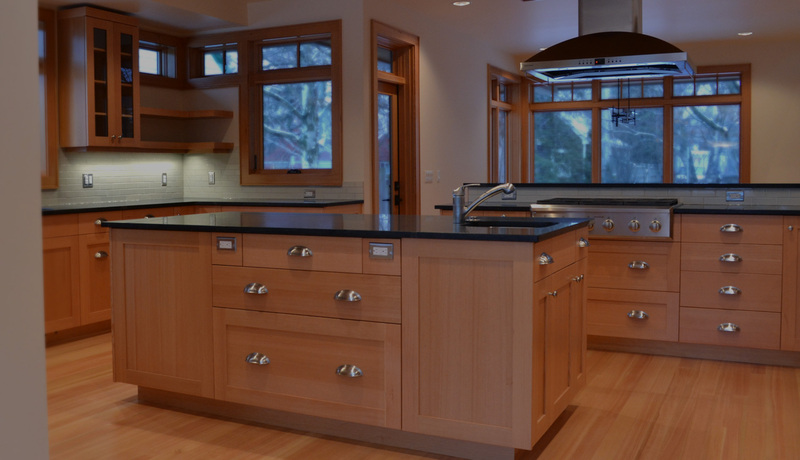 Our experienced team of cabinetmakers build custom kitchen cabinets, vanities, libraries and anything else to meet your specifications. Our lead time for standard vanities is two weeks and standard kitchens can be built within six weeks. Superior quality and customer service are the pillars of Kodiak Cabinets. We serve Anchorage, the greater Mat-Su area and all the way from Fairbanks to Kenai and all of Alaska.